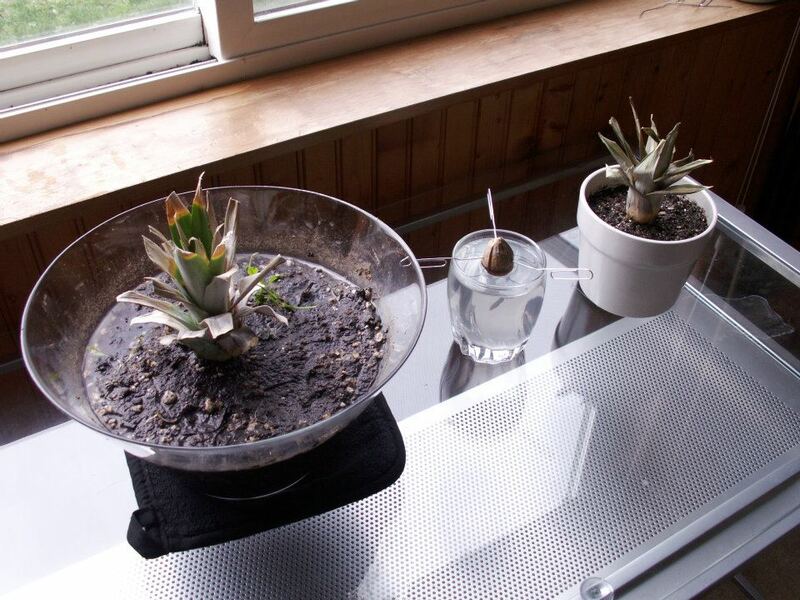 The original pineapple (left) isn’t rooting very well. We will see if I have better luck with the “organic” pineapple on the right. The center object is an avocado pit. Update: The avocado sent up a sprout that lasted for a few months but unfortunately died off. The pineapples just slowly decayed until I threw them into the compost bin.